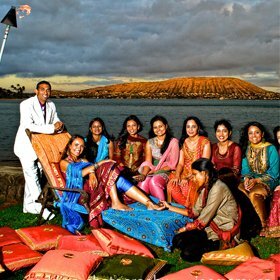 The exotic weddings are not all about suiting yourself in a royal couch amidst the antiquated interiors, or on a beachside with the sun, sand, and a bunch of lovely people; it's also about hills. Getting married amidst the mountains at an altitude of at least 2000 meters (or maybe more) against unbridled landscapes and exotic sounds of the jungle is emerging as a widespread phenomenon. When it comes to celebrating wedding on hills, there's nothing better than Uttarakhand. 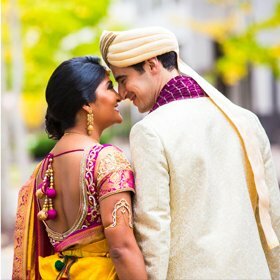 With attractions like Nainital, Bhimtal, Auli, Mussoorie, Binsar, Dehradun, Corbett National Park, Lansdowne, Pauri, and Ranikhet, Uttarakhand offers just the perfect background to start the exchange vows to spend the rest of their lives together and support each other through bad times and the good times. So as to make this occasion tad more memorable, and indelible, hire the wedding planners of Tour My India. Our most of the wedding planners belong to Uttarakhand so making all the arrangements is not at all a problem for us. We have a team of skilled and multicultural event planning specialists. 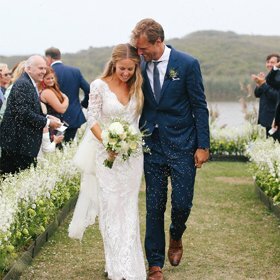 Each, and every element related to the wedding - be it transportation, accommodation, arranging priest, decoration, or catering, are thoroughly considered to make your ultimate dream wedding come true. We will also bring to your knowledge some unique creative themes regarding the decoration. And even if you want it to be customized, we can make that happen also. Whatever be your choice, our motto is to make that occasion special and happier.